I just found that there is a new, fun and creative way to see and browse this, and many other blogs powered by Blogger. You can choose one of five different views: Flipcard, Mosaic, Sidebar, Snapshot, or Timeslide. In this last option, you can click on one of the options on the left upper corner (Recent/ Date/ Label/ Author) to find the post you are looking for. 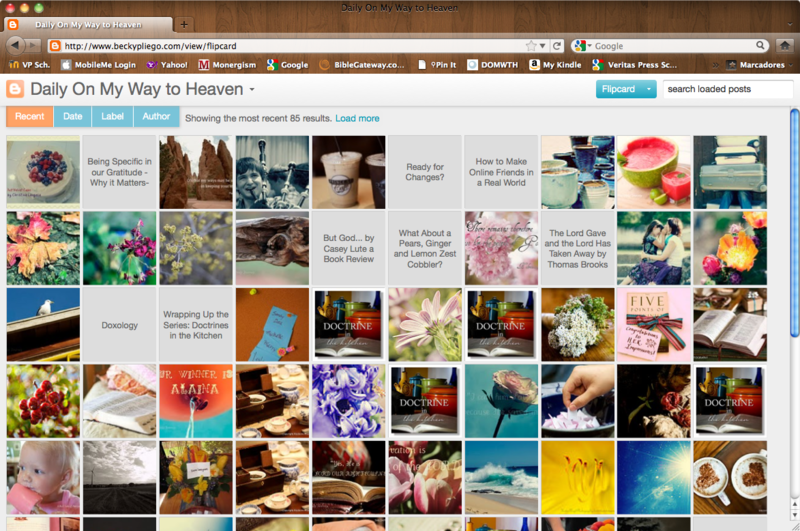 To see other blogs, click the "Daily On My way to Heaven" title and enter another URL. You can read more about Dynamic Views here.